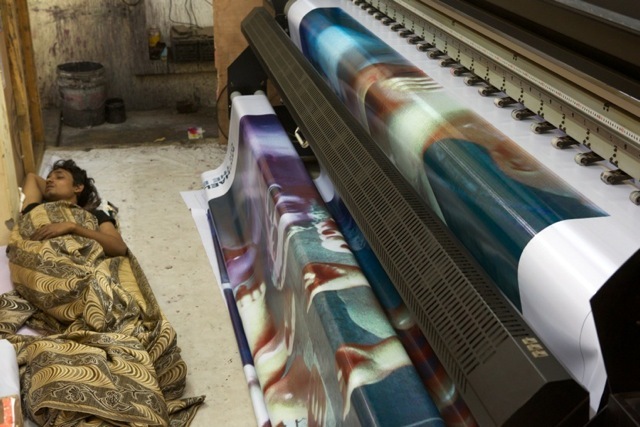 For four months artist Michael von Graffenried has been looking carefully at the Indian city of Varanasi (Banaras). 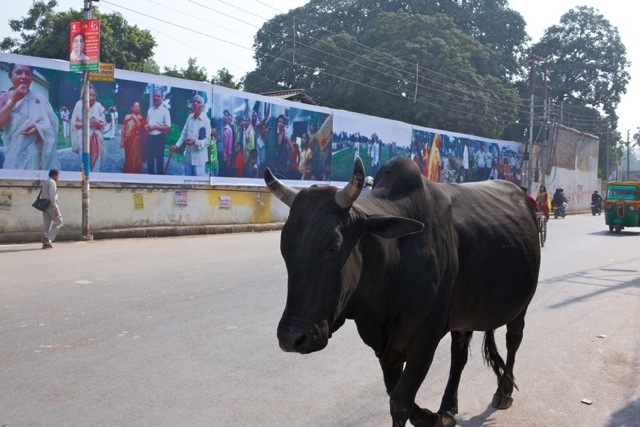 He will display 20 panoramic works 6 by 3 meters on public billboards on a 125 meter long wall at Rathyatra Crossing, in the center of the city, from December 1, 2012. 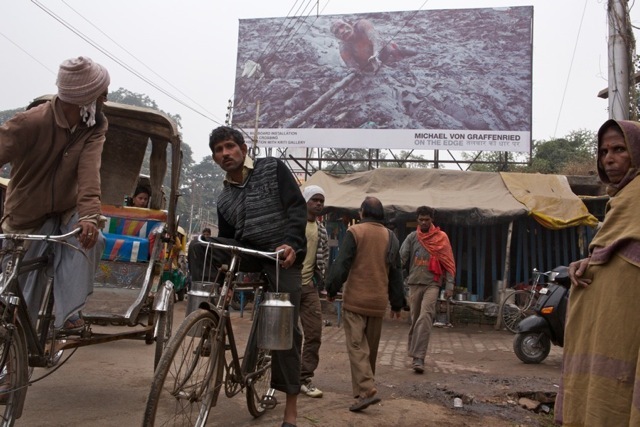 He calls the project “On The Edge” and hopes the images will trigger a response from the people of Varanasi. 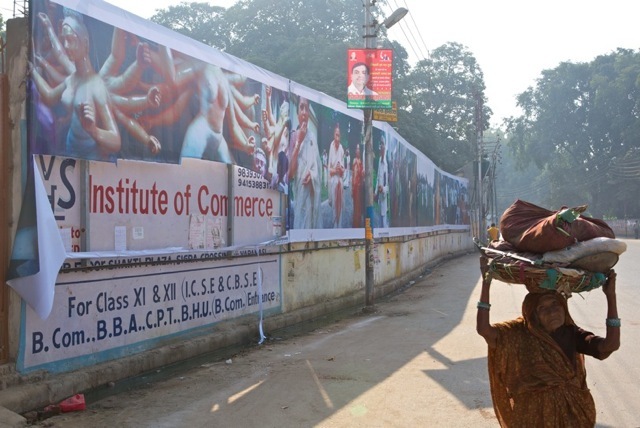 Images detailing their daily life in a changing society: A woman who died the day after she was beaten by policemen with sticks, while the authorities have been on their way to tear down some slum huts along a street. In the eyes of the poor population this woman has now become a martyr. High society men and women celebrating the flag on a national holiday.A holy cow being rescued from the post-monsoon mud along the Ganges by strong men who are also struggling to free themselves from the grip of the mud. Shy young girls flirting with boys under the rain machine in the Waterpark. The Guru of Ayurveda welcoming guests at his home celebrating the birthday of Ayurveda. Thousands of women coming once a year to take a bath in Ganges water, worshipping the sun to raise their prospects of having children. These and others, all daily realities intriguingly displayed by the artist like reflections to the people of Varanasi, variously described as ‘the city of light’ or ‘little India’.